Business intelligence and analytics will in future become a chief information officer's focus, instead of reporting, says Gartner Research. Big data is gaining traction both locally and internationally through the wide range of benefits it can deliver. In today's world, information of extreme size, diversity and complexity is found in almost every organisation, it provides market and customer intelligence. According to information technology research company, Gartner Research, business intelligence (BI) and analytics will become a chief information officer's (CIO) focus instead of reporting, for the next few years. This is because the benefits of fact-based decision-making are clear to business managers across marketing, sales, supply chain, risk management and finance. 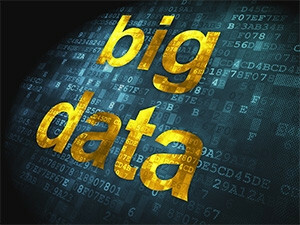 Gartner predicts that as big data discovery platforms mature, companies will take advantage of new lower cost big data solutions to apply analytics to a far broader range of applications, with big data spending accelerating as the cost of acquiring, storing and managing data continues to fall. Analytics application, however, is still at early stage of adoption, with only around 35% of respondents having made significant investments. Gary Allemann, MD of Master Data Management, agrees that the emergence of big data analytics is causing a shift in business intelligence strategies. "Big data is driving companies and their CIOs to take business intelligence to the next level because without analytics, reporting, using big data is a futile exercise," he explains. Allemann says CIOs can benefit by shifting their focus from reporting to analytics because many of them struggle to be seen as relevant to the business. For instance they ensure that the e-mail system is working and that the network is up, however, no one gets real business credit for keeping the lights on. "In many organisations, reports are seen as part of the infrastructure. Many operational reports are outdated or irrelevant - KPIs and business priorities shift and BI struggles to keep up. Analytics on the other hand allows the CIO to have a direct impact on strategic decisions by providing business with the answers they need to test hypotheses and optimise strategies. He says the difference between BI and big data is that BI has historically been backwards looking (reporting on past events), while big data applications are most commonly forward looking - analytics to test hypotheses. Big data should not be seen as a replacement for BI - instead, big data may be used to identify data segments for further BI reporting, to ask and answer throw-away questions and to better predict outcomes of alternative strategies. "Of course, this assumes that information technology (IT) owns analytics," he notes. Trends locally and overseas show that departmental big data deployments for customer analytics, campaign management, risk management and many more are gaining ground as business managers get tired of waiting for an enterprise analytics strategy. "CIOs still have the opportunity to deliver this value in Africa. They need to fill this gap before another exec does." Big data can also be used to optimise existing data warehousing environments by reducing extract, transform and load (ETL) complexities and providing a searchable archive for older data.